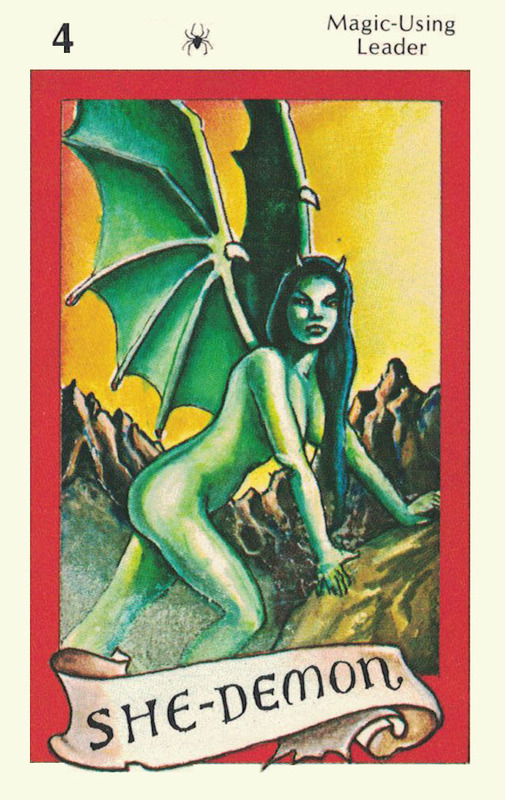 The She-Demon of Melantha’s Faction from JASMINE: The Battle for the Mid-Realm collector card game. People have been waiting and asking for Jasmine Snippet #100. I’m gratified to know that there is enough interest to generate anticipation. How great is that? I believe we are at the climax of the first book of The Story of Jasmine. I have halted at the point when Jasmine is being tested by the winds; her comrades captured by cannibals, a faery dragon is wounded, a magician is angered… It would be nice and poetic to be able to wrap that all up in a nice long post for Snippet #100. But there are too many scenes, to accomplish that feat. This is far from the ending of the Original Jasmine story; it’s merely a stop along Jasmine’s arduous journey North. My notes continue well past this point. But I don’t want to get beyond myself. I think I have a book here and so it behooves me to go back, edit, and fill in the missing details. If I’m moving too much ahead by publishing more snippets beyond Book I, I will not be able to place the needed focus on preparing for publication, the 1st part of The Story of Jasmine. This is something my Patreon champions are helping me to accomplish. I still intend to be posting more of The Story of Jasmine, but my patrons will get dibs on seeing it first. If you want to consider becoming a patron to get an inside glimpse of a work in progress, please visit Darlene’s patreon page. This entry was posted in Jasmine & Role Playing Games, The Creative Process and tagged book, Jasmine, She-demon, The Story of Jasmine on May 31, 2018 by Darlene.